HomeNews, events & mediaBlogUncategorisedSmarter roadworks from Junctions 4 to 11 on the M27? 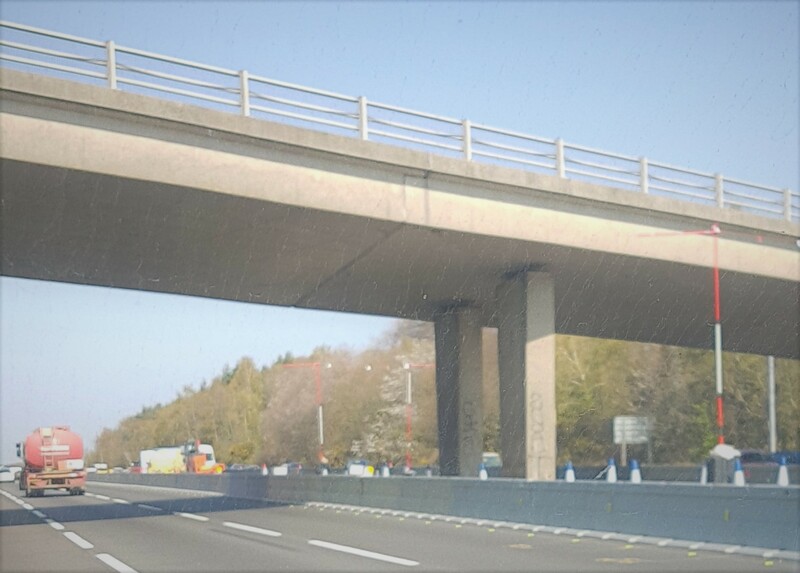 A colleague of mine at Transport Focus recently spent a useful day with Morgan Sindall and BAM Nuttall (Highways England’s contractors) touring the M27 smart motorway conversion work that runs over the 24 kilometre (15 miles) stretch from Junctions 4 (Southampton) to 11 (Fareham). The aim is to reduce congestion and smooth the flow of traffic. Works commenced in January 2019 and will end in 2020/21. 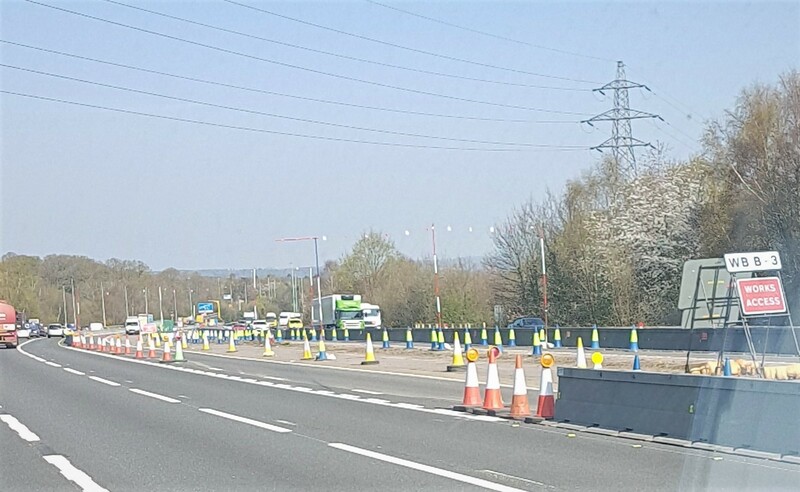 Roadworks have started to convert the hard shoulder into a fourth lane of the motorway, including changes to the junction slip roads that will accommodate this. There will also be some new closed-circuit television cameras and electronic information signs on gantries – to show variable speed limits to manage traffic flow and help during incidents. There will be emergency refuge areas throughout and a reinforced barrier in the central reservation to improve safety. An engagement plan saw public information events at seven key locations, letters to residents, press releases, web updates, poster campaigns, adverts in local press, information points and use of social media. A visualisation video has been developed for road users to understand the new electronic signs that will form part of the scheme. Transport Focus’s research among road users shows that road surface quality is the number one priority for improvement on Highways England’s roads. Hopefully, something will be done between junctions 10 to 11 to reduce the loud, noisy concrete rumble. Key research findings on incidents and roadworks highlight the importance of signage and information – signs must be clear and concise. On the stretch of road visited by Transport Focus there were arguably too many signs, some not properly visible because the view was obstructed by other signs! Research on ‘smart’ motorways, Getting to the heart of smart, highlighted how far – unless prompted – road users don’t actually think about the absence of a hard shoulder on the motorway, but that once they do think about it then safety concerns arise about what happens if you break down. Users of the M27 must feel safe as well as be safe. A recent report, Improving roadworks for road users: A66 Eden Valley, mentioned innovations, including a text alert service where road users can subscribe to get a text message about road closures, what work is underway and when the route will re- open or has reopened. It would be good to see similar measures used on the M27. 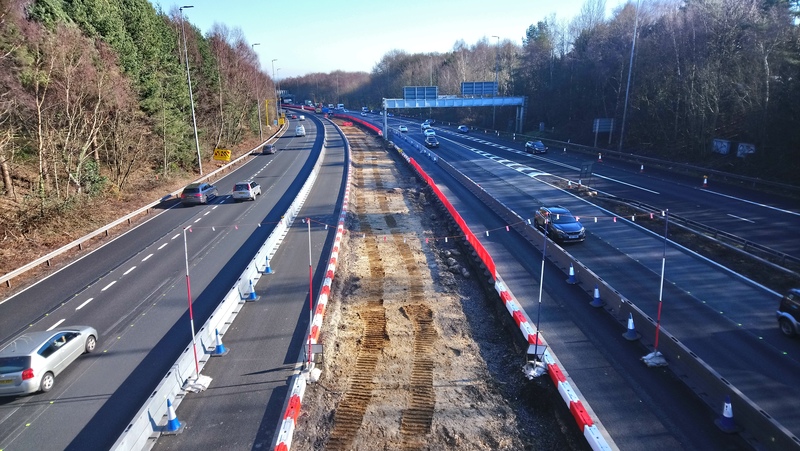 Current research into road user needs during the conversion of the M4 to a smart motorway is providing a great tool with which to monitor awareness, understand what road users want in terms of communications before and during works, and measure satisfaction. Maybe the M27 can adopt this kind of approach too? Transport Focus looks forward to re-visiting the scheme in six to 12 months to continue the dialogue and to see how things are progressing.